Laura Vitucci was born and raised in Brooklyn, but has been happy to live and work in New Jersey for the past 9 years. At age 18, she picked up a camera and hit the streets of New York; after hundreds of hours in the dark room, she earned her bachelors degree in photography and had established her love of observing life’s vignettes and beauty in even the smallest details. This naturally brought Laura to Wedding Photography, where there is so much love, celebration, and emotion to capture. Laura brings her background in developing and hand colorizing film to digital photography and editing to create one of a kind prints, canvases, and album designs for her clients. our wedding will be as exciting and beautiful as you imagine. And no matter how organized you are, when the day comes, it’s your time to live it and enjoy the day and trust the great shots to your photographer. Before your wedding, I will get to know your likes and dislikes, your must have’s and priorities, so that I can cover things in a way you’ll love, at your call if you need me, but otherwise seamlessly capturing the delicate moments that will tell the story of your wedding. I bring a blend of traditional and photojournalistic techniques to my work and base my approach on being down to earth and unobtrusive, getting to know you, and never forgetting what an honor it is to be a part of such important moments. I’m happy to meet with you and answer your questions. From your wedding day to the designing of your album, I look forward to making your wedding memories everything you hope for. Hope to hear from you soon! I want to start by saying that my experience with your photography was so amazing. I was so impressed with the quality of the pictures and also the beautiful moments that you captured. I was able to look at my wedding from a whole new view and it just made me cry to see such breathtaking pictures of everyone important in my life. You can really see the passion that you have for photography through your work. I felt so comfortable from the time I met you and through the whole day you made me feel so good every time we would take pictures. Thank you for making me feel that way on such a special day in my life. We had an amazing experience with Laura Vitucci Photography. Everything was so easy from start to finish. We took beautiful pictures on the beach and we didn’t even know that Laura was there snapping pictures during the reception. Our coffee table book came out beautifully and we are so happy that we chose Laura to capture the memories of our special day. Our experience with Laura Vitucci was wonderful, every step of the way. 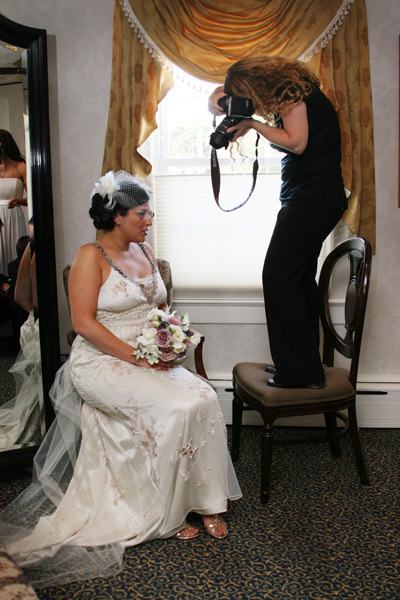 She is a talented and professional photographer, whom we highly recommend. Laura was easy to work with throughout the process, and we feel lucky that she played a part in our wedding day. She was able to take many excellent pictures, both posed and candid, and really capture the feeling of the day, in a way that was natural, unobtrusive, and did not interfere with our experience of the event. We would definitely hire Laura again for another special event! We looked at all the pictures over the weekend and they are beautiful! We are so happy with them all, it will be very hard to try and pick just one or two favorites. We can't wait to see the prints, you caught all of the details that we missed or have already started to forget. OMG OMG They are absolutely fantastic!!!!!!!! Wow Laura they came out beautifully we cannot wait until the wedding, and we're so happy & lucky to have found you! !